Keyboard stand comes assembled and ready for use. 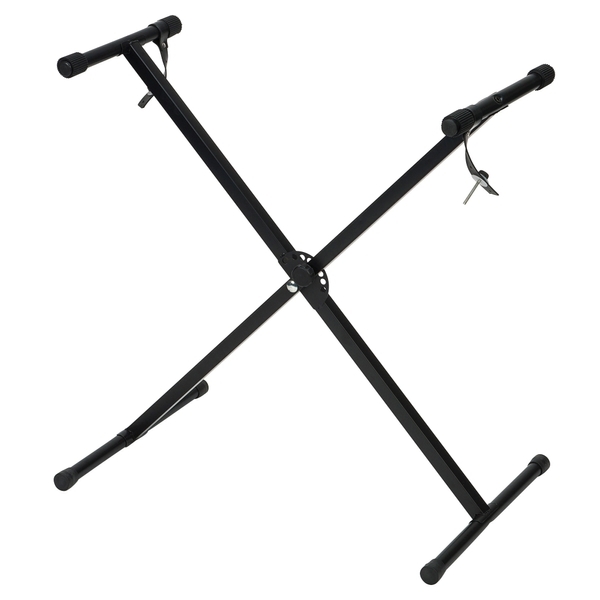 This strong and stable full sized Keyboard Stand is a must have accessory for any Keyboard player. The height can be easily adjusted to suit your needs and it folds away flat for easy transportation or storage. It also features two sturdy straps which can connect to the base of your Keyboard for added stability.